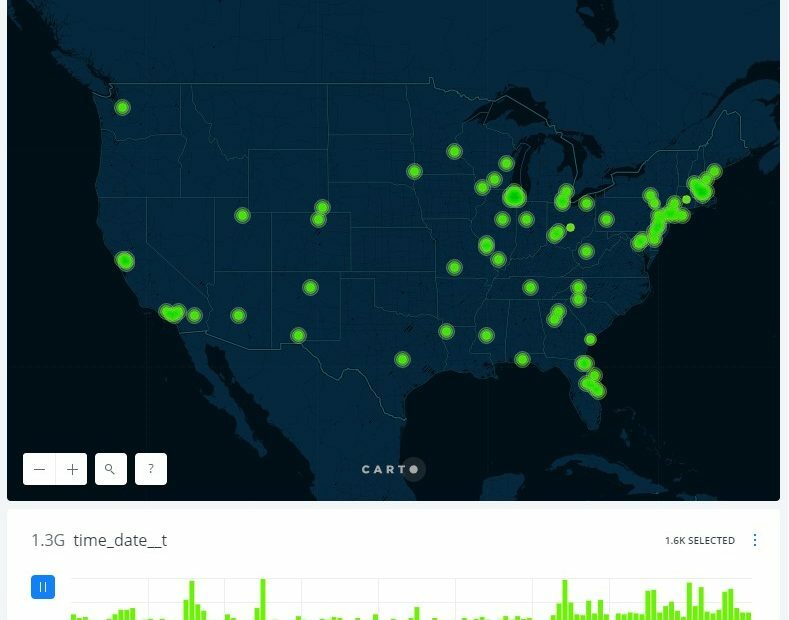 This map shows the accumulation of Islamophobic events and incidents over the course of 2014, 2015, 2016, and 2017, indicating when and where spikes of activity occur. 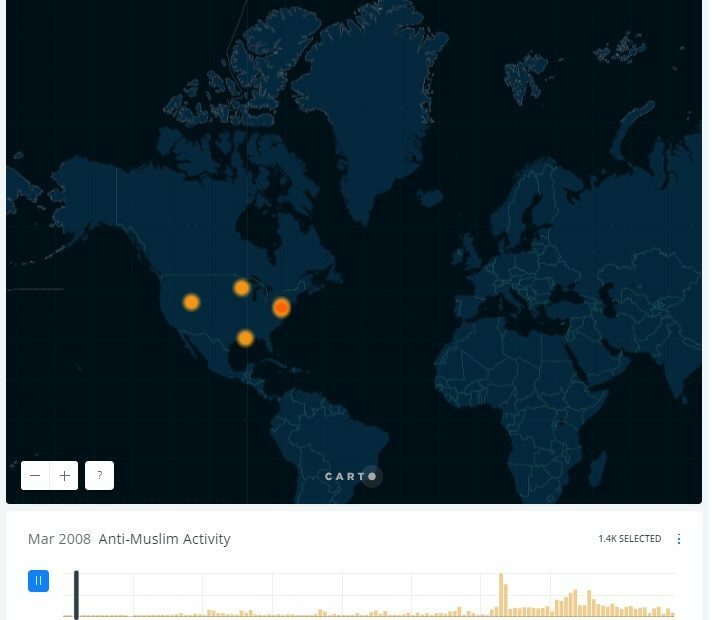 We also have an Interactive Map of Islamophobia (By Year), an Interactive Map of Islamophobia (By Type), and an Interactive Map of Islamophobia (By Gender), each of which allow you to click on individual points to learn more about particular incidents and events. 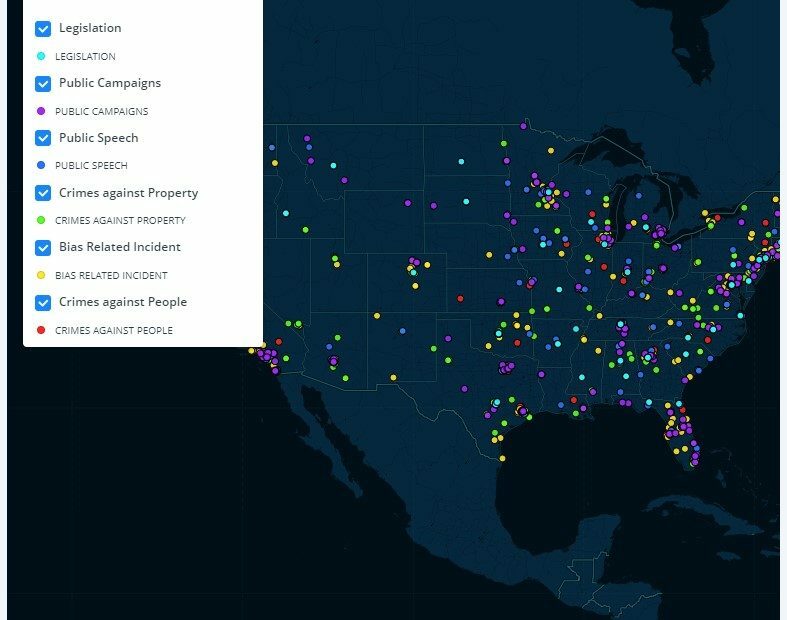 The following maps present data relating to how American Muslim communities have responded to the increasing presence of anti-Muslim hate in American public life over time. 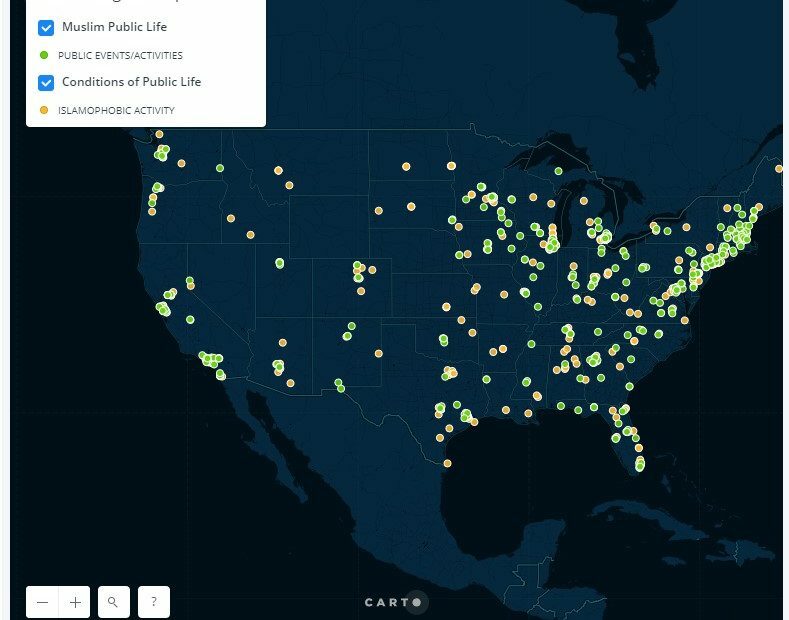 This includes a variety of kinds of community outreach, such as open mosque events, “ask a Muslim” events, interfaith initiatives, and public presentations about Islam, that have the express purpose of “humanizing” Muslims for the broader American public. 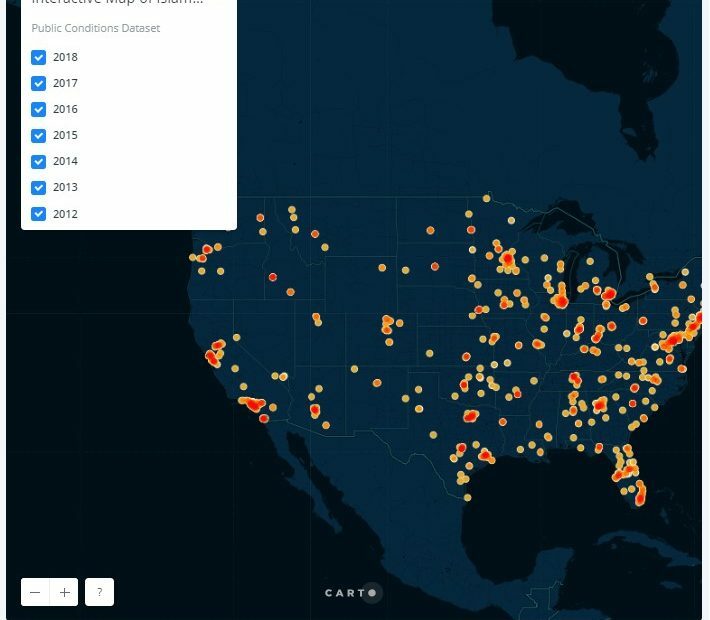 Sometimes community outreach efforts consist of activities that American Muslims do simply because they are striving to be good people—distributing water in Flint, Michigan; opening mosques to shelter people after natural disasters; operating soup kitchens—but in today’s climate these efforts also signify some else. 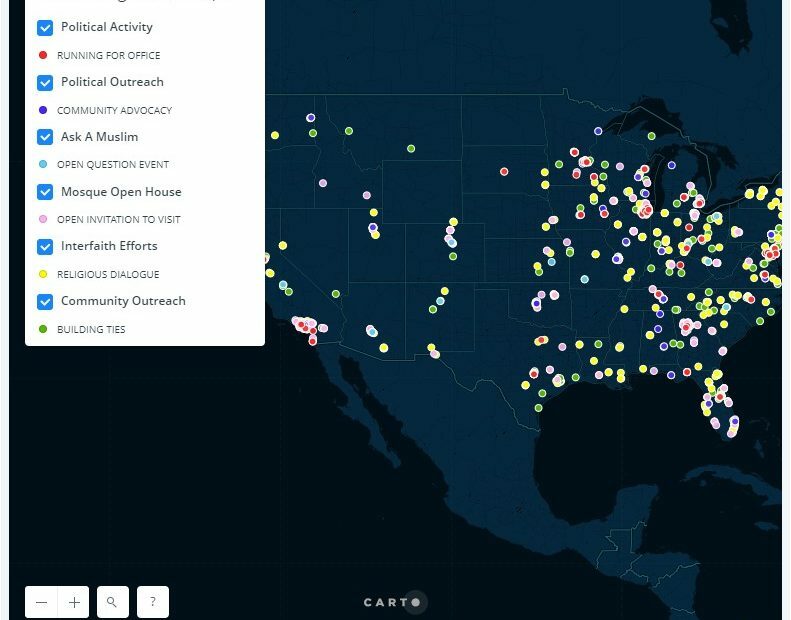 The second set of data also includes instances of American Muslims running for political office, which typically entails a good deal of outreach efforts not expected of candidates from other faiths (or no particular or visible faith), and instances of political outreach, when American Muslims and American Muslim communities seek the support of elected officials. Taken together, all of these activities, directly or indirectly, “humanize” American Muslims. 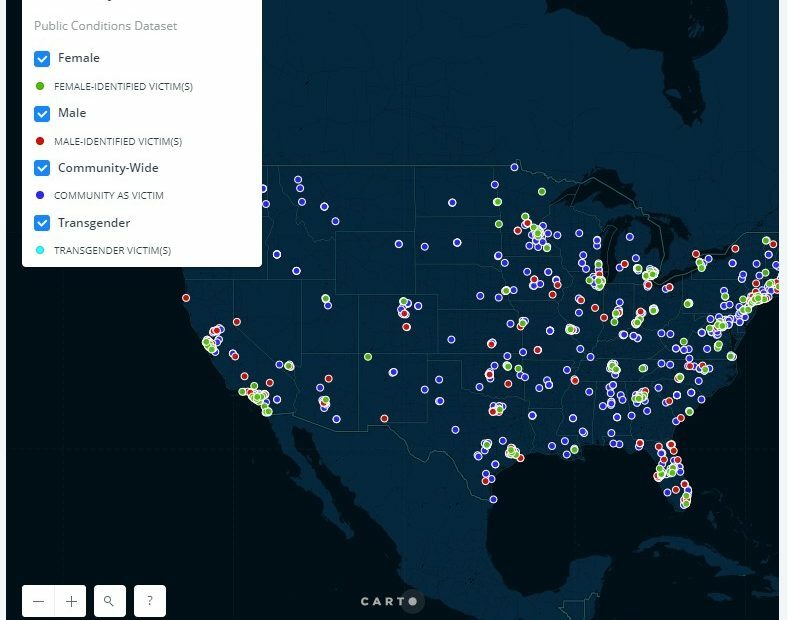 The data we have gathered and that we present in these maps, when set alongside information about Islamophobia, provides insight into how American Muslims are responding to the presence of anti-Muslim hate in public life.